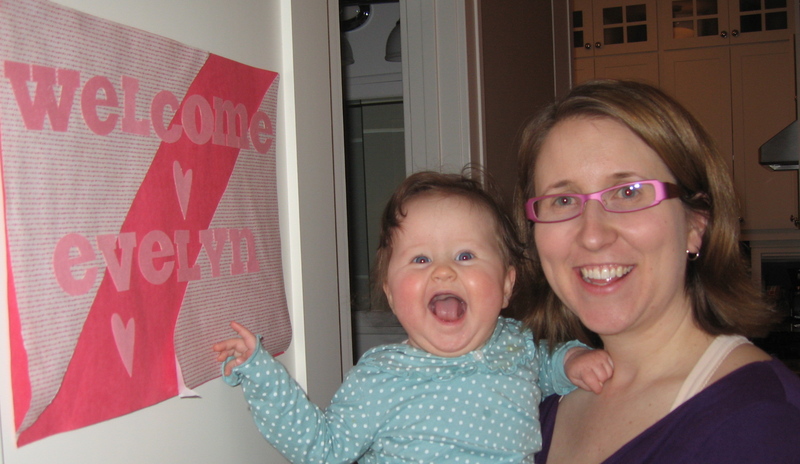 When Evelyn started daycare back in the summer, her teachers put a sign on the door of her room to welcome her. They gave us the sign, and it now graces the door to Evelyn’s bedroom. 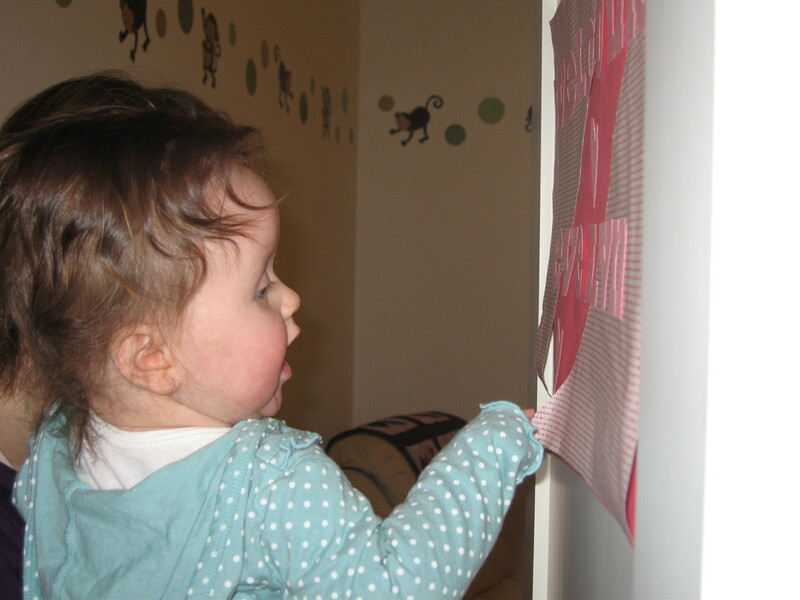 Lately, she has begun insisting that whenever she leaves her room, whoever is carrying her must pause so that she can admire her sign. The sign makes Evelyn very happy.